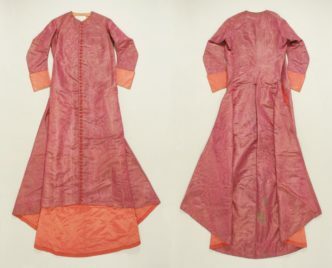 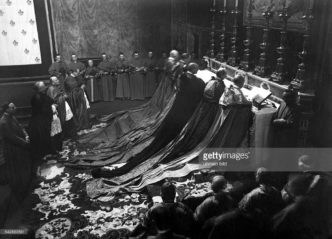 Silks, trains and ermines – I komu to przeszkadzało? 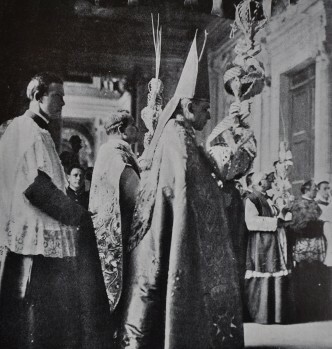 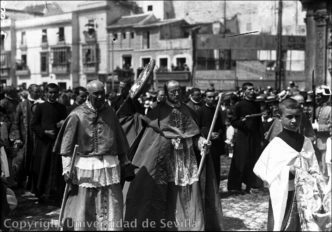 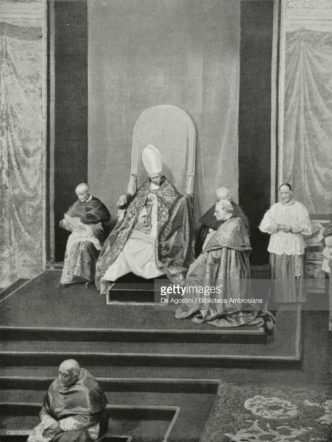 The Metropolitan of Seville, Archbishop Eustaquio Ilundáin y Esteban, in a cappa magna during the procession of Corpus Christi in 1923. 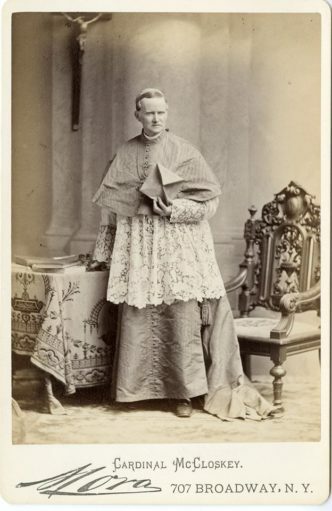 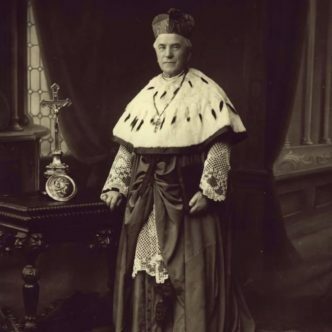 Archbishop Richard James Cushing, the Archbishop of Boston, in the winter cappa magna. 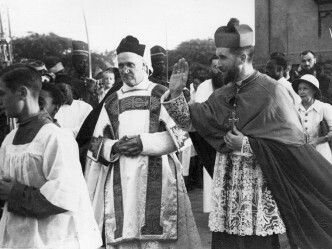 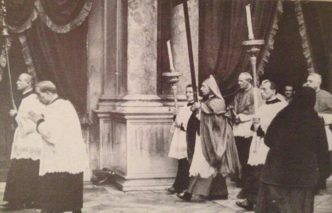 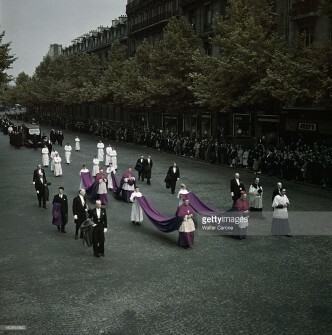 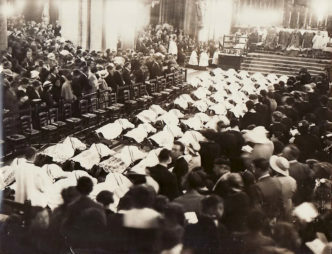 The funeral of the Archbishop of Paris, Cardinal Emmanuel Suhard, June 1949. 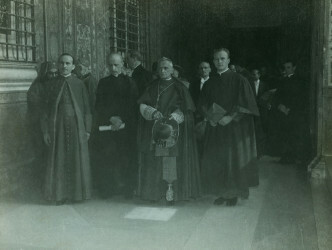 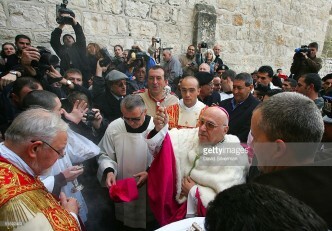 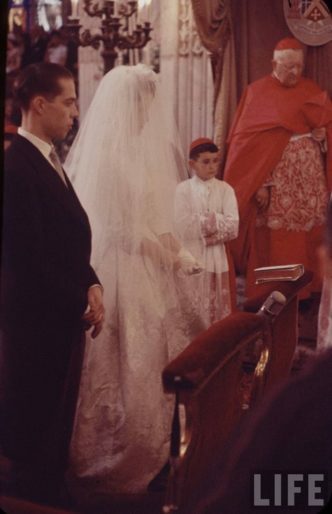 In the photo one can see cardinals in mourning choir dress. 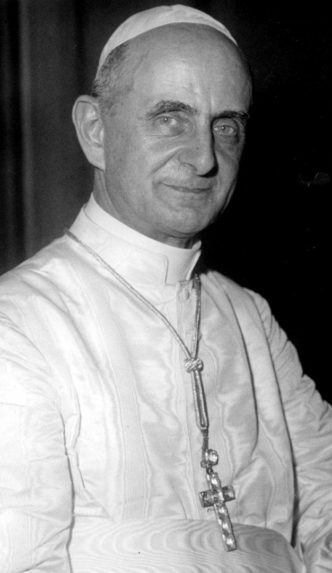 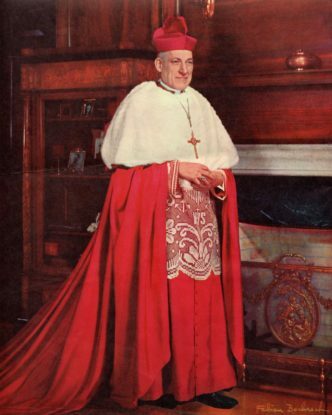 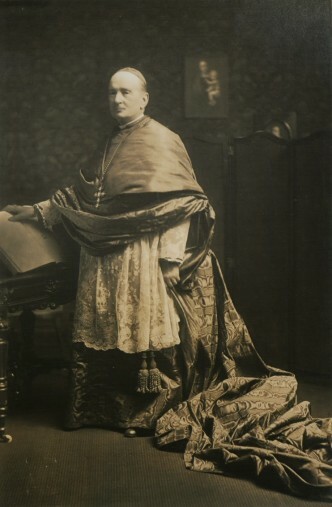 Louis Nazaire Cardinal Bégin, Archbishop of Québec, Cardinal Priest of the church of Sts. 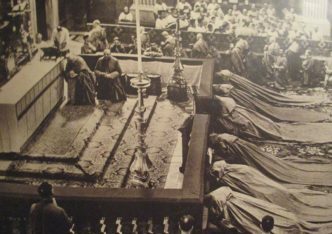 Vitalis, Valeris, Gervase and Protase. 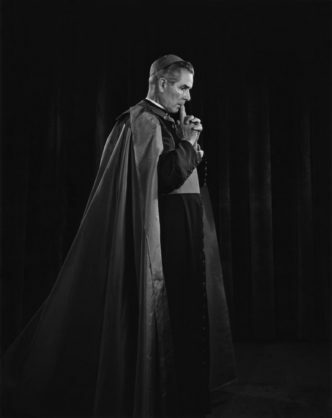 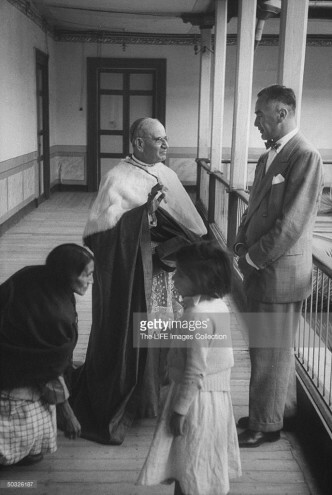 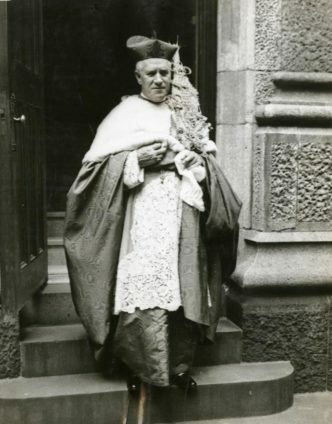 His Eminence Carlos María Javier Cardinal de la Torre, the Archbishop of Quito, in a winter cappa magna.